One of the most common occurrences that we see in the clinic is Full Time Dancers with chronic hip and back pain. The curious thing is that many of these students also have recurrent or chronic issues with their digestive system. This interaction is extremely complicated, but I wanted to write an article on the first level of this relationship, and how we can help dancers through it. I hope it makes sense! These students are also usually hyper mobile, which is often desirable in a dancer, however at present if they also lack the deep control of her local stabilisers (especially the small deep back muscle, pelvic floor and deep abdominals, as well as her true turnout muscles) to control this increased movement effectively, they will often have problems. 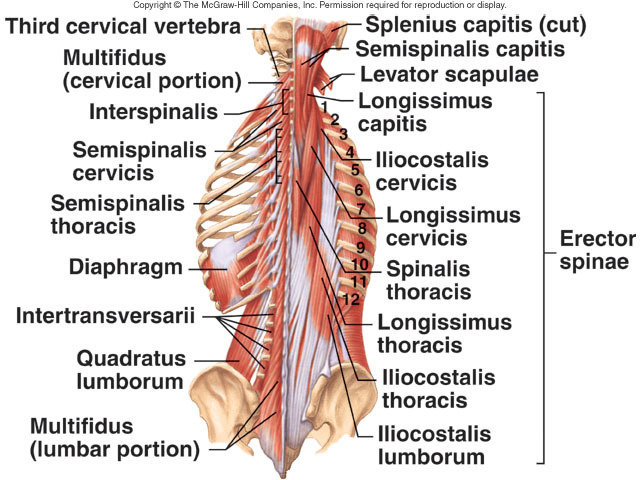 If the deep muscles are not effectively engaging to control the spine at a segmental level, then the bigger back muscles will grip on, trying to substitute for the deeper ones. Unfortunately, these two muscle groups are physiologically very different. The deep back muscles are designed for endurance; that is, to work at a low intensity for long periods of time. 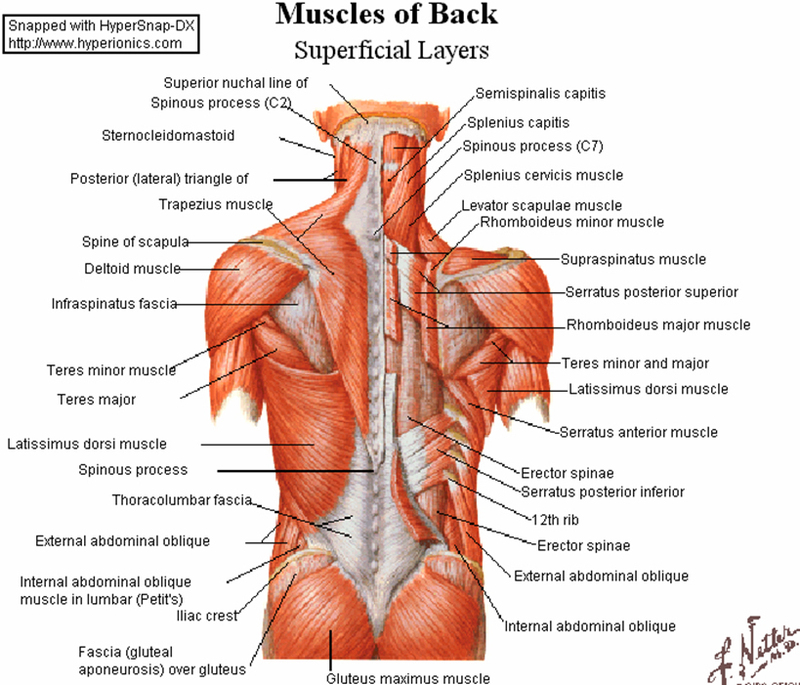 The bigger back muscles are more phasic muscles, and are designed for movement. The faster twitch muscle fibres are best used for short bursts of activity. If the big back muscles (Erector Spinae) are on constantly this results in stiffness and pain in the low back, as the muscles are being used for a job that they are not physiologically designed to do. This then usually leads to chronic hip and back pain. While most dancers spend a lot of time trying to strengthen their abdominals, but there are a few critical factors that may have made this difficult to achieve. 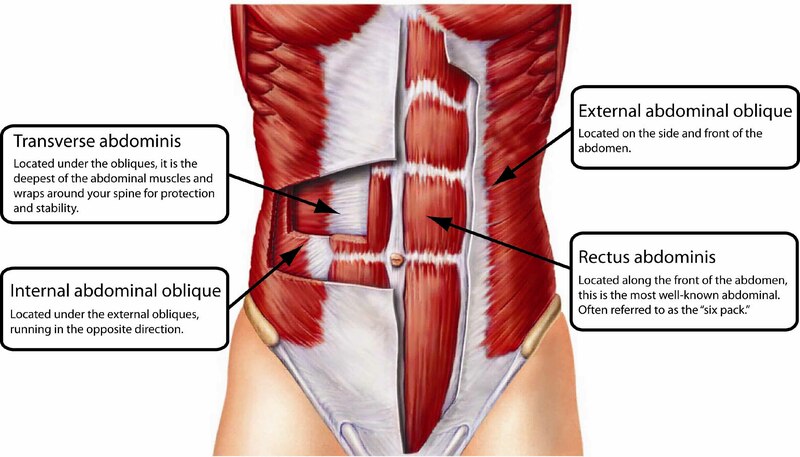 The body has a rather unfortunate default mechanism in that when there is low back pain present, the deep stabilizers of the low back (specifically the Multifidus and Rotatores muscles) are actually inhibited, meaning that they are very hard to activate, even if you is doing all of the right exercises. Attempting these exercises while pain is still present will usually just result in more recruitment of the bigger back muscles. Relieving the discomfort in the low back is essential before trying to strengthen these muscles. Many students with these issues has also have numerous issues with abdominal pain and digestive issues, which can also result in it being very hard to isolate and activate the right muscles. It is essential that we work on improving this side of things to enable you to find these deep stabilisers. It is also very important that you are getting adequate nutrition for optimal healing, rather than simply cutting out food groups that may irritate a sensitive stomach. The best way I have found to accurately isolate these deep stabilising muscles is to have a ‘real time’ visual ultrasound (much like when a woman is pregnant) to actually view the muscles on a screen, while consciously contracting and releasing them. I find that this is really helpful for anyone, but essential for those that have had issues with back pain and instability. Even in dancers who have had no issue with pain I find it a very helpful process that can help them ‘find their centre’ much more effectively than normal retraining. Students with chronic low back pain often also have issues with pain in their hip flexors, which is closely tied in with the instability on her low back. When the low back is unstable, the Psoas Major muscle will contract at the top end (where it attaches to the front of the spine) in an attempt to stabilise the low back. This means that it is not available to be used to hold the leg devant or in second and often results in irritation in the front of the hips. The dancers will feel that they need to stretch out the hip flexors, but this will actually often make it worse, as the hips are already inflamed. The real solution is in learning how to stabilise the back effectively and retrain the muscles of the hip so that each is doing what it is meant to do, resulting in much more mobility and strength in all ranges. To truly relieve this issue with chronic hip and back pain it is essential to address all of the above issues and move gently back into class work. You will need to avoid extending the low back and sustained extensions at full height while you work on re-patterning the motor control around the hips, however this should result in far less pain and an improvement in your technique overall. In class you must focus on maintaining subtle deep abdominal control and true turnout isolation, while keeping the legs low, before you progress back to full class. Details on exactly how to start working with your deep core muscles to support your dancing can be found in our A New Approach to Core Stability program, which goes well beyond the normal core exercises given to dancers! Our carefully designed Training Turnout program then teaches releases to increase your turnout range, core stability awareness needed for ultimate turnout control, and a progressive strengthening program to work on your standing leg turnout, turnout en fondu, turnout in Retire and control with your extensions.